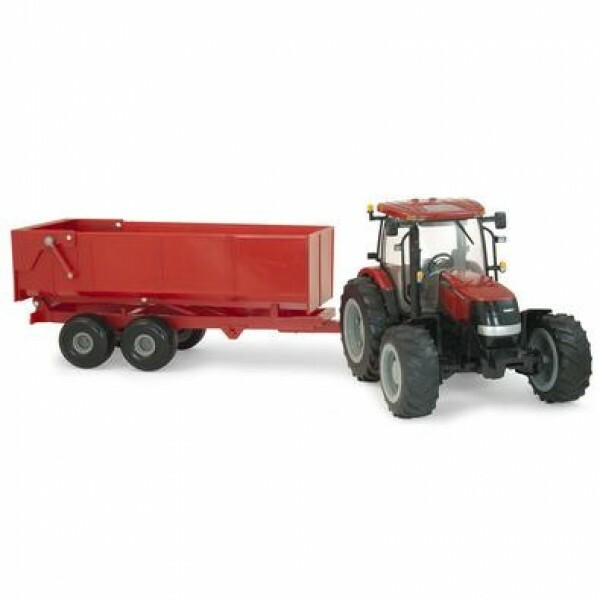 The Big Farm Puma 180 with Dumping Wagon is the perfect duo for little farmhands. The Dump Wagon features adjustable hitch, dump box that raises and lowers, and end gate which opens and pivots. The tractor features adjustable hitch, lights and sounds, and removable cab. This toy requires 3-AAA batteries (included). 1:16 scale die cast replica.